See our beautiful custom wine cellars. From creation concept, to design, construction and install, we work very closer with our customers to create fabulous wine cellars. Premier Cru, Modular Redrack and Classic series Wine Racks shown in customized wine cellars. See how these kit racking systems can used to create a beautiful wine cellar at a fraction of the price of custom racking. Label forward metal wine racking displays allows you to see your wine collection at a glance. 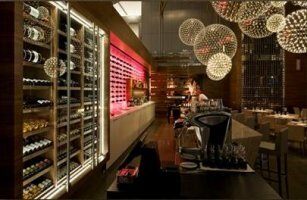 This contemporary metal racking system will showcase your wine with a modern look. 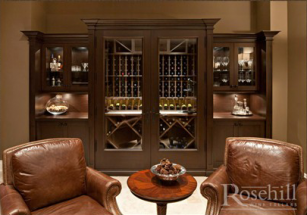 Rosehill's custom built wine cabinets allow for proper wine storage in narrow and unique spaces. 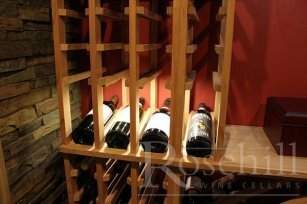 Additionally, Rosehill's custom made wine cabinets offer both proper insulation and correct climate conditions for your wine collection. 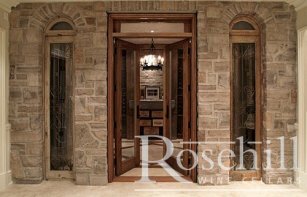 Finish off your newly designed wine cellar with a beautifully handcrafted custom made door from Rosehill. 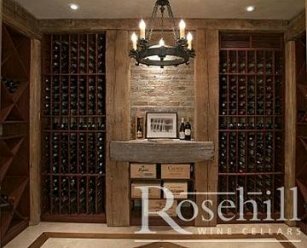 Whether a classically designed glass door, or one with intricate design, Rosehill guarantees a finished product that will make you proud upon enter to the cellar! Whether behind glass, floor to ceiling, or on display, Rosehill's Commercial Wine Racks allow for greater flexibility in showcasing your wine. 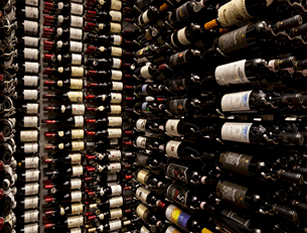 Restaurants &amp; Wine Stores can sell more wine by ensuring customers see the bottle label first. This racking system lets you and your customers understand your wine collection at a glance.